A graduate of Towson University, Kevin joined Northwestern Mutual in 1987 as a Financial Representative. In 1989 he became an Employee Benefit Specialist and President of the Pittsburgh operation of Strategic Employee Benefit Services which is a division of Northwestern Mutual. Two years ago, Kevin decided to step down from management of the benefits company to be able to spend more time with his clients and to be able to devote more time to ministry. In addition to managing his employee benefits clients, he is now heading up the 401k division and doing personal financial planning. He is a member of the International Foundation of Employee Benefit Plans, and the National Association of Insurance and Financial Advisors. Kevin and his wife Mary reside in the New Kensington area. They have two children, Chelsea and Lucas. 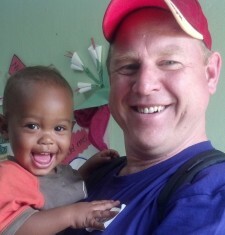 He is very involved in his church, his local community and missionary work in the Dominican Republic. He has served on the board of directors for Family Resources of Western Pennsylvania and the Valley Points Family YMCA. He is currently a part time minister at his church and is Board President of Del Rey Ministries.